The report from TREB for the 2014 Real Estate Sales is in the books. Let's hope for another good year in 2015! 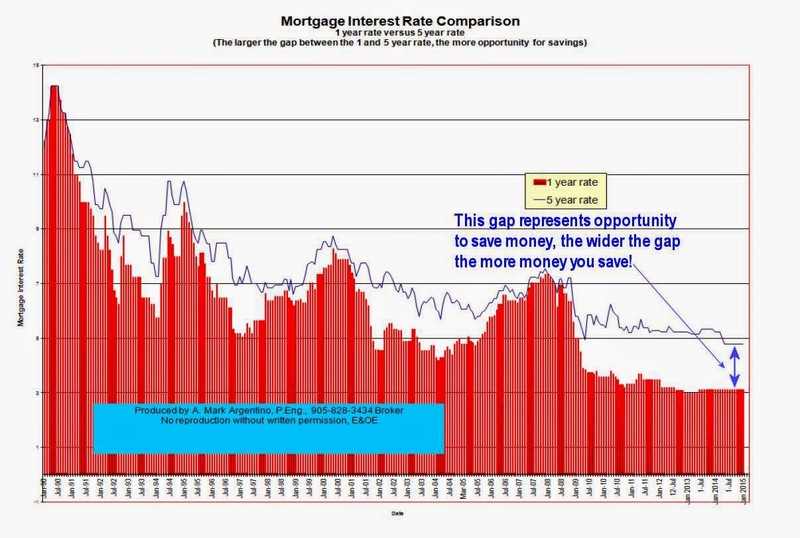 Should I lock in my mortgage rate due to recent Bank of Canada Rate Cut? This is a question many ask. This page is a running record of how interest rates have changed over the past 5 to 10 years and what my personal philosophy is regarding what you should do with your mortgage - namely, should you lock in your mortgage interest rate or should you stay with a variable rate mortgage. This is the question! After nearly 4.5 years, the Bank of Canada made an announcement last week that shocked the experts, they lowered the Prime Rate by 0.25% Nobody was expecting this reduction! The reasons behind the drop are varied, but the largest reason is that the price of oil is under $50 per barrel and the Bank of Canada performs most of it's forecasting based upon the assumed price at $60 per barrel. Thus, with low inflation, low oil prices generating lower overall revenue for Canada (and certainly Western Canada) the bank decided to lower the rate. The major Canadian banks did not immediately lower their prime rates that they charge their best customers. As a matter of fact, the Banks only lowered their prime rate by .15% and not the .25% that the Bank of Canada dropped the rate. Bank prime is now 2.85% and mortgage rates for fixed term are nearly the same. 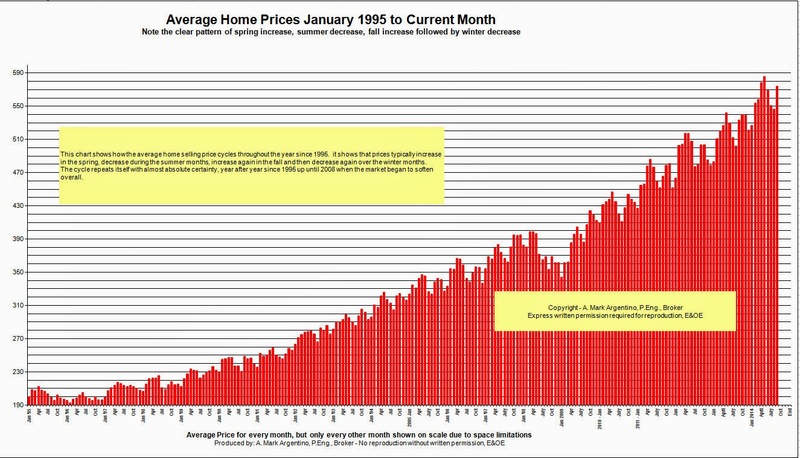 Many believe that there will be mortgage rate wars over the next few months. The banks still have plenty of cash to lend so this is likely the case. We are still at or near 50 year historic lows- meaning, it's still a good time to 'lock in' your rate if you are not a gambler. Again, please don't forget these are posted rates and often you can get a lower rate than posted if you negotiate. My preference for many years (and continues to be) to go variable, but if you are not a gambler, then it could be getting close to the time where you lock in your mortgage. I recall reading an article the day of the rate cut on January 21, 2015 that not one of the 19 'experts' on the Bloomberg Panel had predicted a rate cut. Read the article below that just appeared in the Herald about rates, it's very interesting what the experts are now saying about rates. If you want interest rate security, then you go long term. If you want to save money, my advice is to go variable, always (at least for the next 1 to 1.5 years). the graph near the bottom is also very interesting where they say the Bank of Canada "was the first to blink" - if you watch the other videos or listen to the Bank of Canada Governor's comments he uses many euphemisms that allow him to stay 'non-committal' on many key issues - this is the Bank's way of not signaling their future intentions to the marketplace - so interesting! The Bank's announcement today to reduce rates was a real shock to the Canadian Economy and the world, could prove to be a very forward thinking decision in light of other indicators in the economy! Just when you thought that you could predict the future, the Bank of Canada announces a prime interest rate cut! After nearly 4.5 years, the bank rate has finally changed. I'm sure very few predicted the rate would drop. The prime rate is now 3/4% and the prime rate banks charge to customers is now 2.75% The previous rate was 3% This is unexpected news and good for anyone looking to borrow soon or having a mortgage coming up for renewal any time soon! This is in direct contrast to all the recent announcements and many economists saying that the economy is bullish and they anticipate a rise in the rate in late 2015 or 2016, so much for the experts!